What is malware in the first place? This is a word created as a result of combining two other words – “malicious” and “software“. There are many dangerous programs today in the world wide web. They are actively spread through malicious links, or being bundled with other viruses and potentially unwanted programs. The impact they produce on some particular PC is extremely negative. As a result, your personal information may become vulnerable to all kinds of other viruses and cyber threats. This is why such dangerous programs are referred to as “malware”. In our blog we will devote the majority of articles to the issues of malware removal. Again, you could find a lot of other general information about malware in the world wide web. However, to fight against malware on your PC is a completely different story. Millions if not billions of malware samples attack many computers these days in various locations. If they’re not timely removed, they may be immediately or later on spread among other PCs through various obvious or concealed channels. The problem of malware prevention and malware removal today is one of the key challenges these days. We run this blog hoping that you will find ways of minimizing the risks of your system being infected with malware. We also hope to be a valuable resource for you in terms of practical solutions to remove specific malware samples from your infected computer. We can’t guarantee that we will find proper remedies to removal of all known malicious programs. On the other hand, we know that we’re on the right track while trying to make simple malware removal instructions to assist you as our readers and visitors. By doing so we hope to make the Internet a safe place for you to surf. IMPORTANT NOTICE before you download! GridinSoft Trojan Killer is a shareware application. Its 15-day free trial is only able to remove 2 (two) infected items for free. 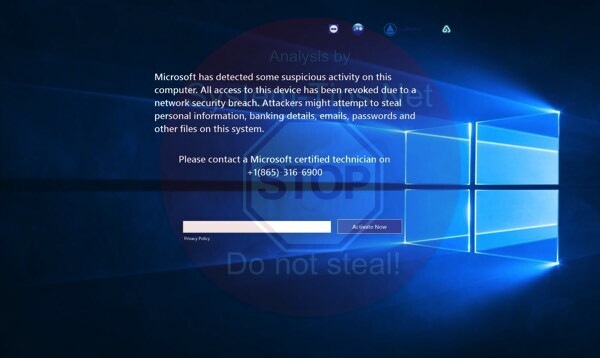 In case your system is seriously infected payment must be made for its full registered version, which will remove all threats identified during the scan of your computer. 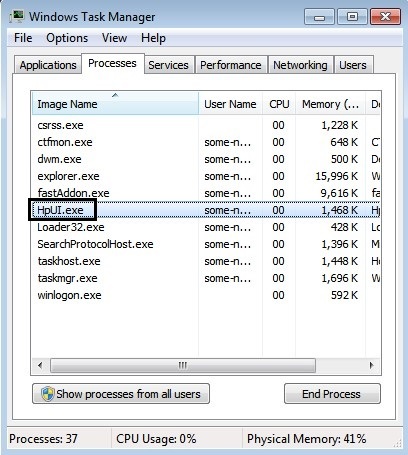 If your computer requires a powerful real-time protection from GridinSoft Trojan Killer to prevent your computer from being infected with malware in the future, payment needs to be made for its license key after 15 days of its free trial expire. If you would like to extend the duration of free trial period of GridinSoft Trojan Killer and the limit of infected items to be removed during this free trial, please create the support ticket by going to this online form. We will give you a personal temporary license key to evaluate GridinSoft Trojan Killer and will send it to you by email, hoping that you will seriously consider purchasing its full version for ultimate antimalware protection. 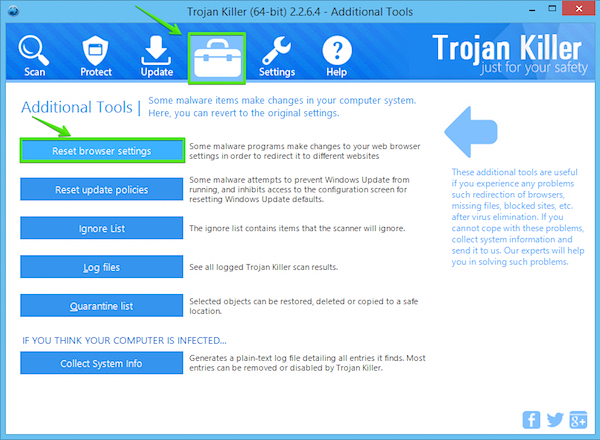 Download GridinSoft Trojan Killer through the download button above. Click on “Apply” button to apply these actions selected by you. 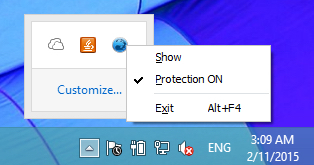 How to prevent your PC from being infected with malware using GridinSoft Trojan Killer. 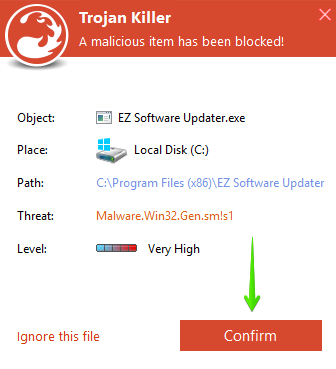 We recommend that you click on the “Confirm” button each time threat is detected by Trojan Killer with “Protection” mode enabled. 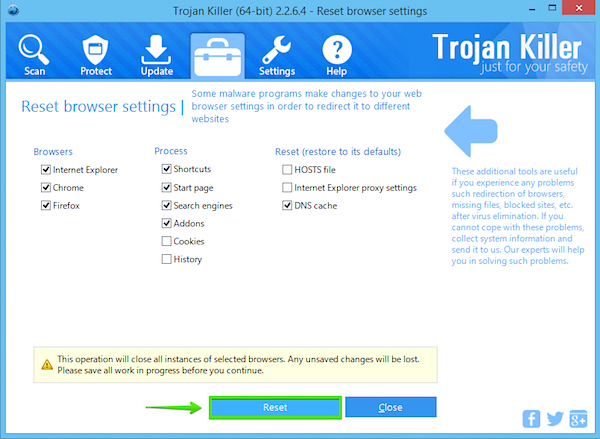 Dahiservice.exe (32 bit) trojan removal instructions.